The Turkish Coalition of America expresses its deepest appreciation and gratitude to the Hon. 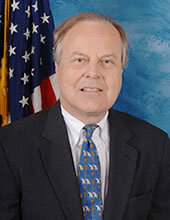 Ed Whitfield of Kentucky who resigned from the U.S. Congress at the end of August. Whitfield was the co-founder of the Congressional Caucus on U.S.-Turkey Relations and Turkish Americans and of the Congressional Study Group on Turkey (CGST) of the U.S. Association of Former Members of Congress (USAFMC). As a member of Congress, he was an ardent supporter of the U.S.-Turkey relationship and a voice on Capitol Hill for Turkish Americans.